We recommend our True Elegance vacation package to guests who want to experience the true luxury of Jordan by visiting the Dead Sea Jordan, Aqaba, Wadi Rum and Amman. 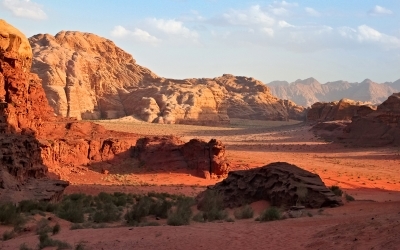 Discover the exceptional cultural heritage, natural beauty and fascinating history of Jordan. Travel in comfort, stay in luxurious and exclusive properties all whilst exploring the distinctive Middle Eastern culture of Jordan. Welcome to Jordan! Meet your True Trips host at the airport in Amman and make your way to your carefully selected Dead Sea hotel. 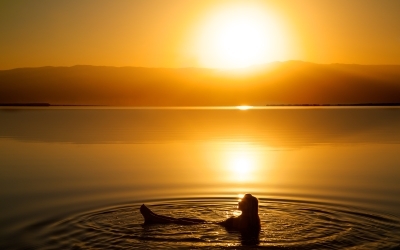 Once you’ve settled in, put on your swimming gear and head to the beach for one of the most exhilarating and peculiar experiences of your life as you step into the deep blue waters of the Dead Sea and float on the surface as if you weighed nothing! Swimming is impossible, so float around or cover yourself with the sea’s therapeutic mud. Either way you will leave feeling rejuvenated by the end of the day. Venture outside your hotel resort to explore the settlement of Bethany where it is believed that John the Baptist baptized Jesus and visit the ancient remains that include structures dating back to the 1st Century AD. Continue your exploration with the desert castles that dot the Jordanian landscape. Built by the early Islamic Umayyad Caliphs, castles such Qasr Amra, Qasr Kharaneh and Qasr Azraq are beautifully preserved samples of Umayyad Art and architecture. By the end of your stay at the Dead Sea, we are sure that you will be relaxed and ready to continue your adventures in Jordan! 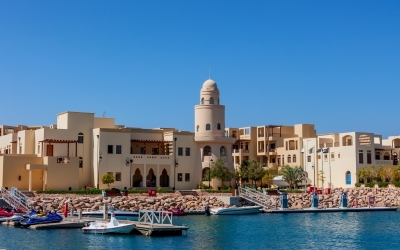 Known for its quaint beaches and vibrant coral reefs, Aqaba is a city bursting with life that affords its visitors with a welcome distraction from the usual mountainous desert terrain of Jordan. After checking-in to your resort hotel, head to the beach to relax and soak-in the warm Jordanian sun. Enjoy the various water sports or spend the day on the water exploring the colorful reefs! Take a stroll through the seaside promenade, explore some of the city’s shopping and residential districts filled with lively and colorful streets and enjoy the beautiful seaside atmosphere. Discover the fascinating history of this seaside city, walk around the famous Aqaba fortress and wander through the small yet fascinating Aqaba Archaeological Museum. After taking in the history, sea, sun and sand, stop at one of the many local restaurants and sample the city’s authentic culinary scene rife with creative and innovative offerings! 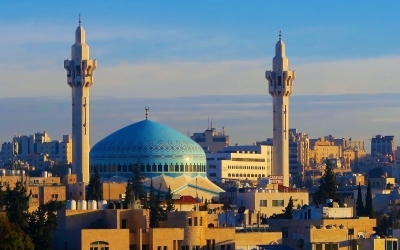 Amman is the enchanting capital of Jordan. Get settled at your carefully selected luxury hotel and prepare to be dazzled by Amman’s alluring mix of authentic neighborhoods, classic Middle Eastern architecture and its contemporary vibe. Head out to explore the city alongside your expert True Trips guide and discover the city’s impressive sights like, The Citadel, The Roman Amphitheater and King Abdullah Mosque. Venture outside the city of Amman to explore the Ancient City of Jerash, a true gem of immense historical significance! Walk on its ancient cobbled streets and visit the beautifully preserved Oval Forum, the Hippodrome and the ancient theater. During your stay in Amman be sure to visit Rainbow Street for some shopping. Walk through its winding alleys and take in the traditional Jordanian street life in the city’s most atmospheric neighborhood! If you are looking for a more fashionable shopping experience then a visit to “The Boulevard” is your best option and a great way to conclude your visit in this fascinating Middle Eastern capital!